The Wesbrooke is BC owned and operated by Allegro Properties, who have formed the Wesbrooke Retirement Ltd. Partnership. Allegro is a company highly experienced in the senior living industry is committed to providing quality seniors residences. At The Wesbrooke, we uphold a high standard of care and our dedication to excellence is apparent from your initial interaction with us. We focus on letting you live the way you want. If you or your loved one are looking for a retirement home that offers an enjoyable experience, consider visiting us at The Wesbrooke! Staff – Our staff make up who we are and each professional on our team aligns with our spirit and what we believe in. Retirement can be a great point in your life and our staff helps ensure this time is relaxing and enjoyable. We also provide help with daily living activities for those requiring assisted living. Residences – We offer a variety of floorplans that can fit your particular needs and preferences. There is something for everyone, whether you’re looking for an apartment to call your own, or require assisted living from medical professionals. Our retirement home offers a variety of options from studios to two bedroom suites. Dining – Our dining experience, is just that, an experience. With the high standard that we have in every area of our retirement home, you can rest assured that we offer superior dining options provided by chefs of high standard and friendly food service staff. We can even provide additional services for those who require help with their dining experience. Services and Amenities – Our senior living home doesn’t just look wonderful. We also have a large variety of services available to make sure your experience is enjoyable. From daily exercise groups, on site hair salon, activities and events we strive to develop your mind, body and spirit. In addition, we also offer a wide selection of amenities to provide you with convenience. Events – Retirement can be a great time to do what you’ve always wanted. Now that you have the time, we provide you with all types of fun activities to enjoy. We always have events going on so that you can socialize and visit local attractions. 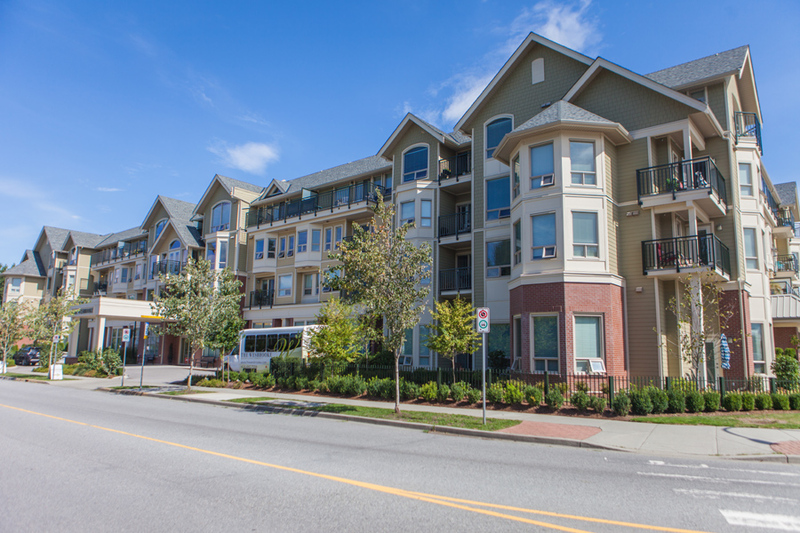 For more information about our Pitt Meadows senior living community, call us at (604) 460-7006.